In 1918 a young Anglican chaplain, Padre Arthur Ernest White, who served as chaplain with the 44th Battalion AIF, celebrated a Requiem Mass for the Battle Dead at the alter of St. John’s, Albany on the south coast of Western Australia. After the service, he and some members of the congregation climbed to the summit of Mount Clarence. It was from this viewpoint that the people of Albany had gathered in 1914 to look at the great convoy of ships that had gathered in King George Sound to carry the men to Egypt. In 1929, Padre White was appointed Rector of Albany and decided to mark the next Anzac Day by celebrating a Dawn Eucharist. On April 25th, 1930, some parishioners who attended the 6am service then accompanied their rector to the nearby war memorial, where he placed a wreath on behalf of the parish. 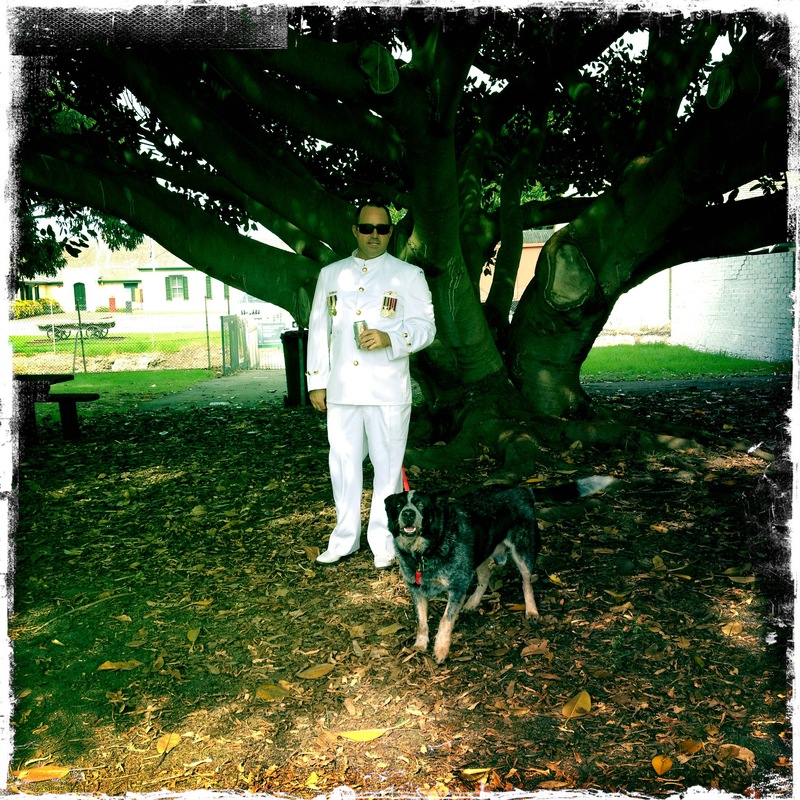 They then followed him up Mt Clarence to wait for a boatman to lay a wreath in the water at the entrance of the harbour where it would drift out into King George Sound. 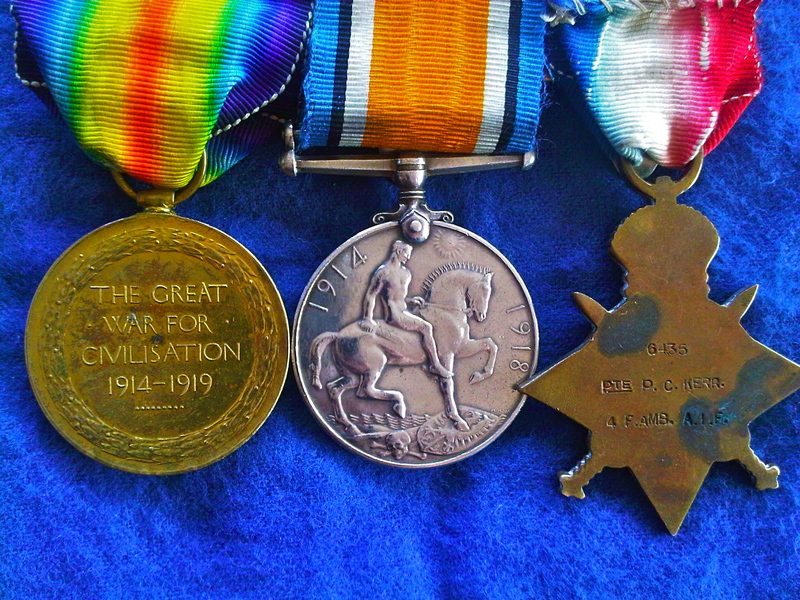 As it was laid, Padre White said these words, ‘As the sun riseth and goeth down, we will remember them’. Being a Defence family, we have wanted to go to Albany for the Dawn Service for years, but The Driver has often been at sea or other family commitments have led us elsewhere. This year, the plans were made and the camper packed. At 7am we clambered aboard the big rig and headed south. Our journey took us through my old stomping ground of Boyanup, where I had spent several years working on various community and economic development projects. 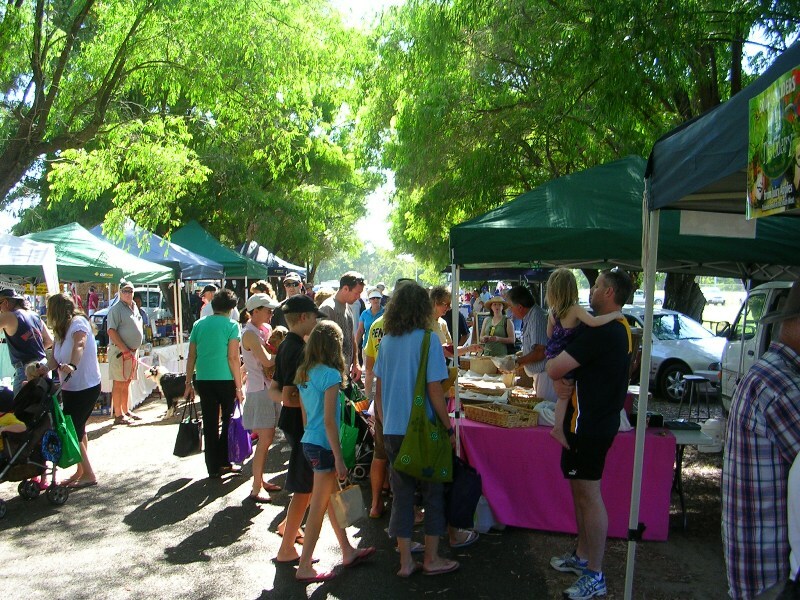 To this day, the Boyanup & Districts Farmers’ Market that I started almost ten years ago remains a strong, vibrant and loved monthly event. Small growers from the surrounding districts meet at Memorial Park to set up their stalls and sell their produce direct to the public. It’s a wonderful opportunity to see and hear the love and care that goes into growing your fresh fruit, veg, eggs and meat. And growers get to meet their customers, completely bypassing the massive loop of multi-national conglomerates that eat three of the four bites from every virtual apple. Next stop was the cute as a button country town of Nannup. Home of the Nannup Flower and Garden Festival, the forest rally, Nannup Music Festival and some of the most spectacular valleys, hills and forest in our southwest. I had a few hours work to do and so The Driver and The Dog took a long stroll along the river, around the town and back to the amphitheatre. We dropped in to our friend’s Nannup Lavender Farm for coffee and freshly made scones. In 1999, I spent a weekend helping Heather plant and mulch some of her first gardens and paths around her rammed earth cottage. The Nannup Lavender Farm is 100% organic and now sells some lovely lavender products from their tearooms and online store. Back on the track and down to Albany (with a quick stop at the Plantagenet Wines Cellar Door in Mt Barker – yum). 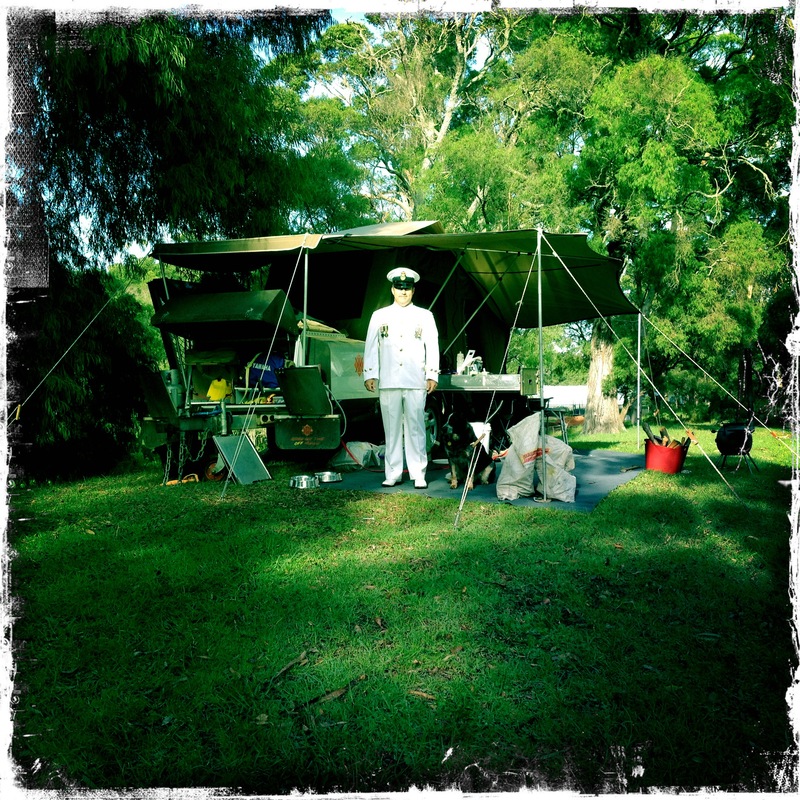 Following some careful research and several pleading emails, we had received an ‘ok’ for permission to camp on a local small farm just a few kilometres from the Albany town centre. It was green, lush and peaceful; we set up camp in the top paddock while Farmer Dave and Dog Spot moved The Sheep to the House Paddock. Such lovely down to earth people who could not have been more accommodating. 3:00am is early on any day of the year. We were up and at ‘em though and headed to the Albany Entertainment Centre to board the bus that was to take us to the top of Mt Clarence – well nearly the top. The last 100 or so steps took our breaths away as we made the climb. Arriving at the memorial at 3:45am we had an hour and 45 minutes to wait before the dawn service would commence. We heard from the local RSL President, a local priest, a Year 10 student and of course the bugler. Goosebumps take over my skin when I hear the Last Post. This year I was thinking of my parents who were spending Anzac Day at Villers Brettoneux retracing the steps of my grandfather who was a stretcher-bearer in the 4th Field Ambulance. 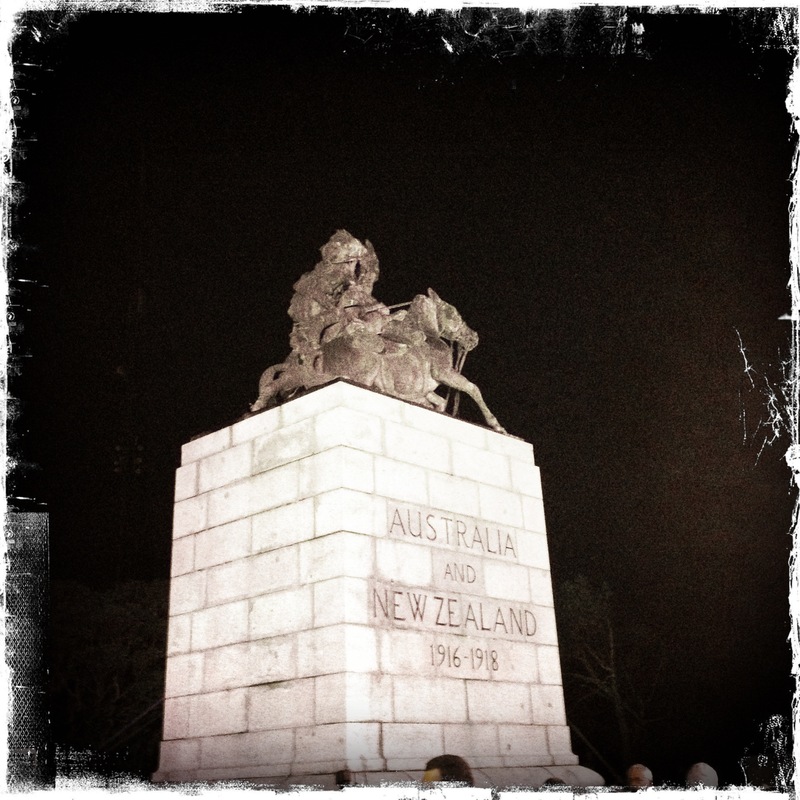 Lucky for us he returned home safely, but Anzac Day always reminds us of those who fought for freedom and country. Lest we forget. Marchers gathered at the top of Spencer Street at 9:30am. 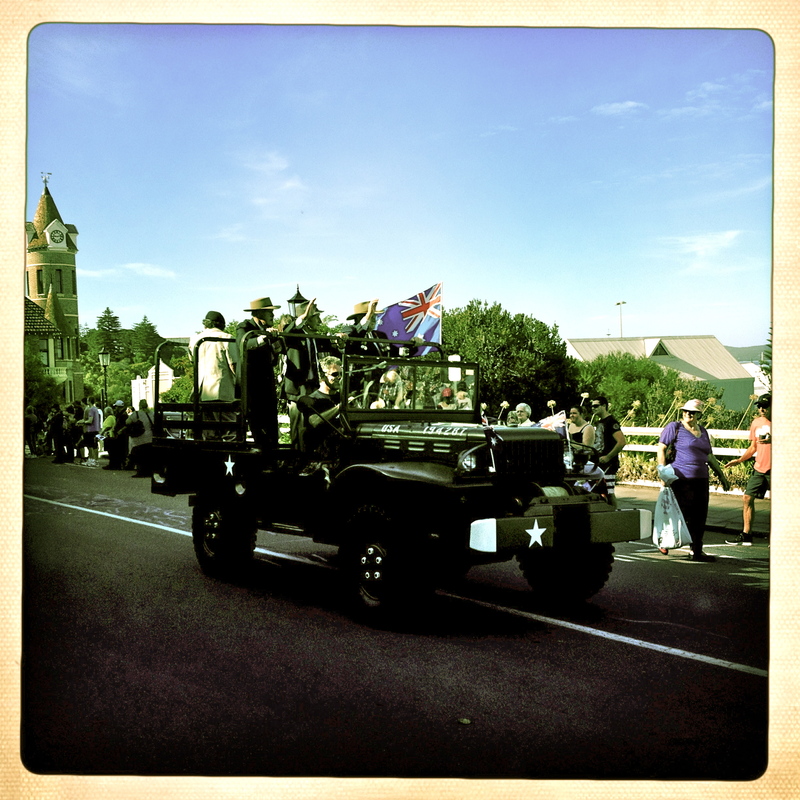 I loved seeing the old boys and girls in the Army jeeps. Today was their special day and it is only right that they be cheered, celebrated and spoiled. Many local school children marched in the parade and their display of respect by wearing their school uniforms in the middle of school holidays did not go unnoticed. 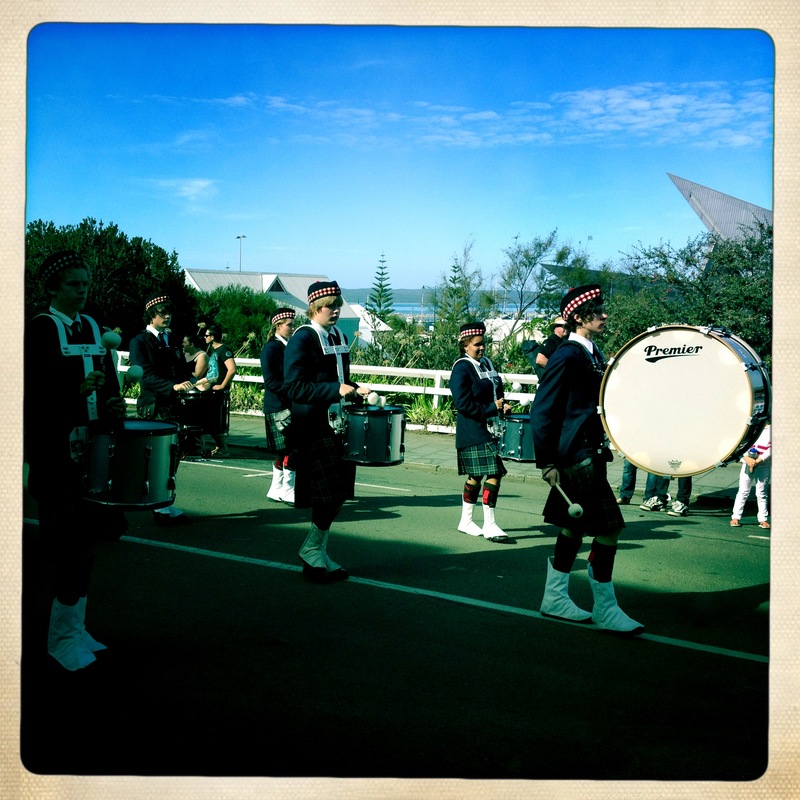 The pipe band was really good. A recent transformation of Peace Park on the Albany foreshore is quite magnificent. 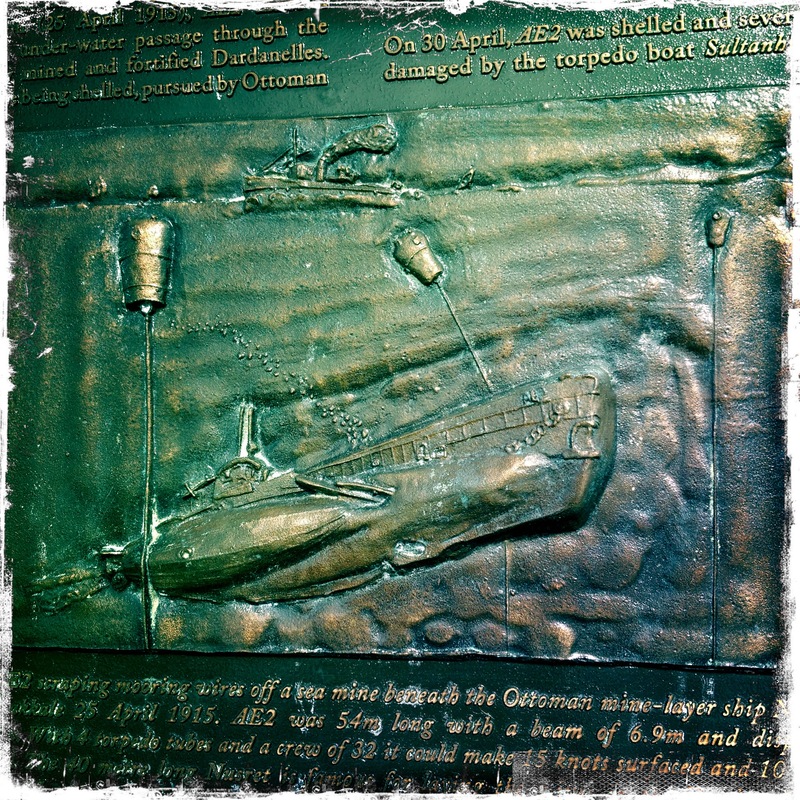 2014 will be 100 years since the convoy of ships departed King George Sound and saw Australian shores for the last time. I read that over 30,000 troops were assembled here mostly from the eastern states and New Zealand. 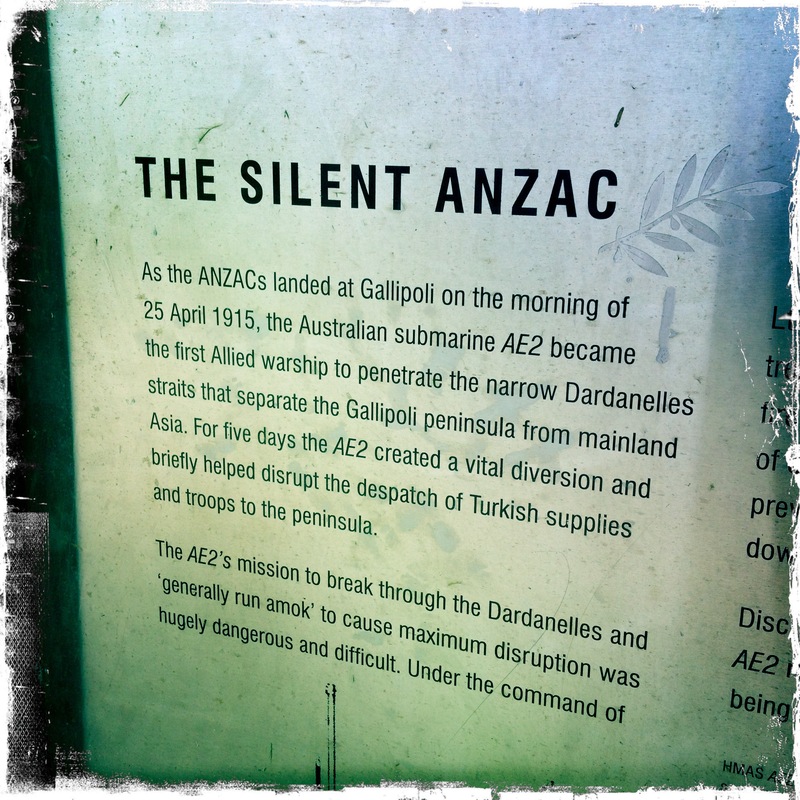 The improvements to the Park and Mt Clarence Memorial have been made in preparation for the anticipated large crowds in 2014 and again in 2015 – the 100th anniversary of the landing at Gallipoli. 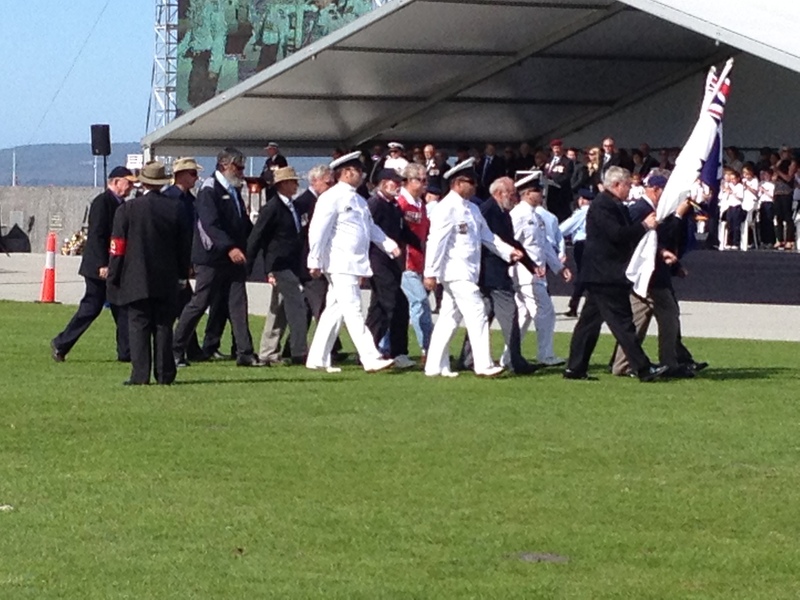 The Driver marched with the Naval Association and kept the old fellas company during the service. 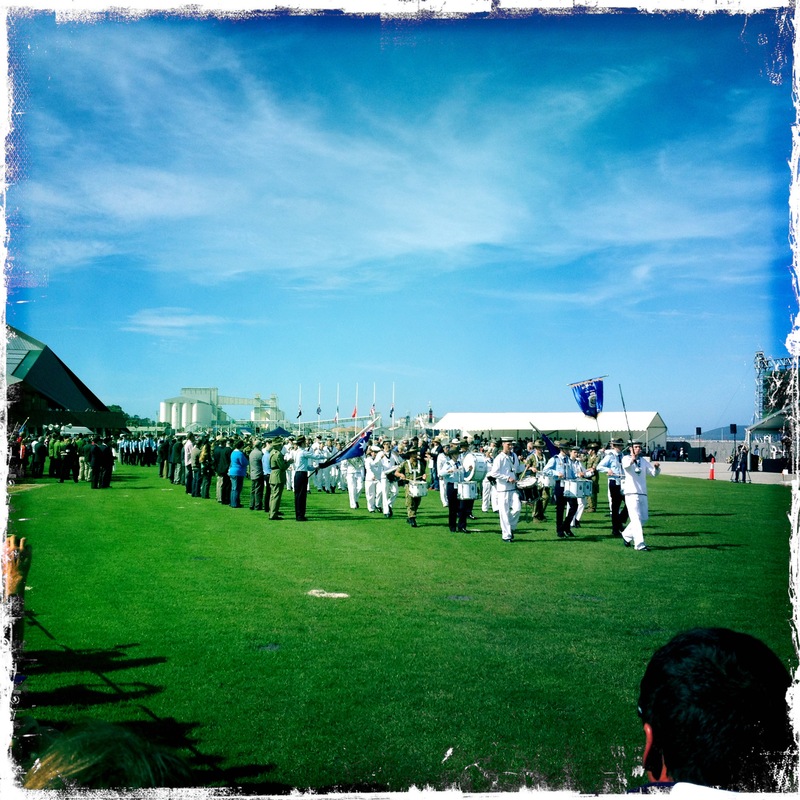 There was a great turn out and the backdrop of King George Sound on a glorious sunny day was just beautiful. 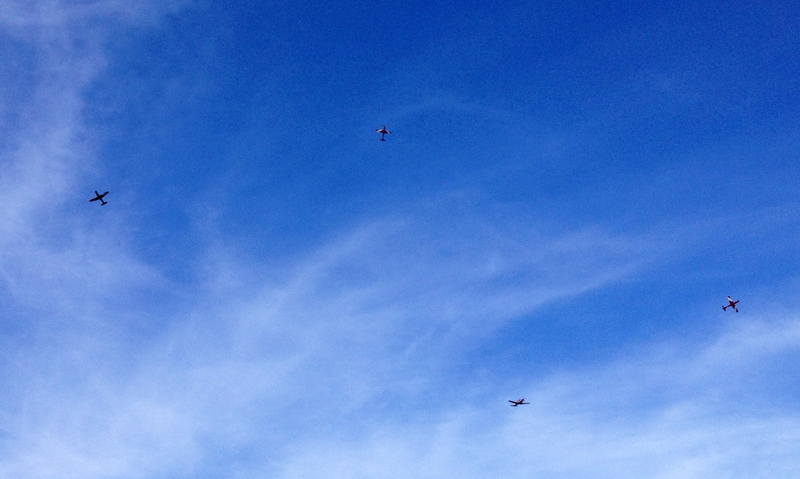 The Air Force Roulettes flew over in Southern Cross formation and performed some amazing aerial acrobatics. 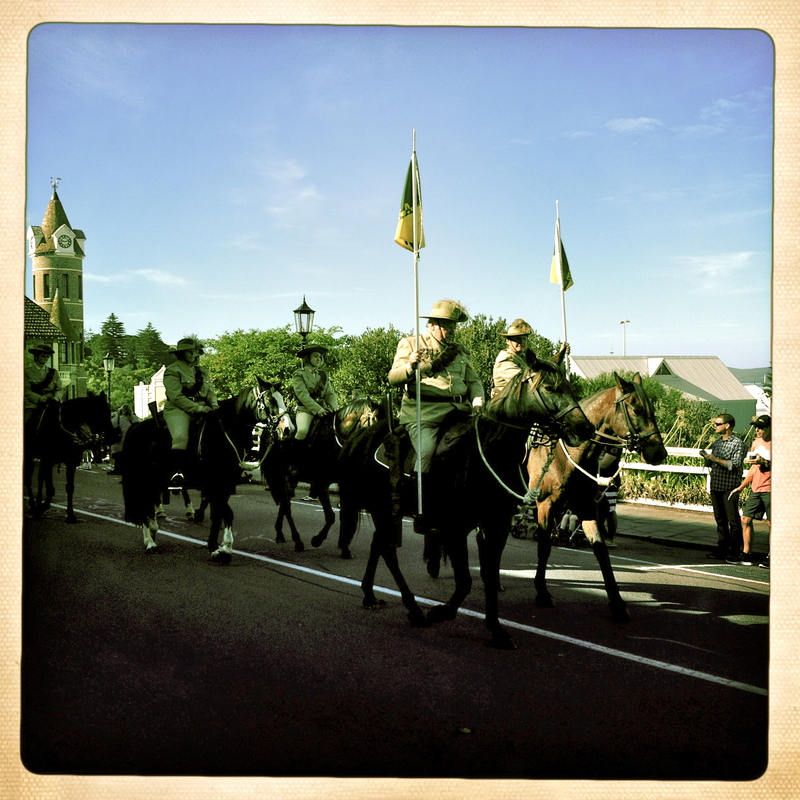 The final moving part of the morning for me was watching the Albany RSL sub branch form a guard of honour around the young people of Albany as they marched from the park in a sign of mutual respect and support. 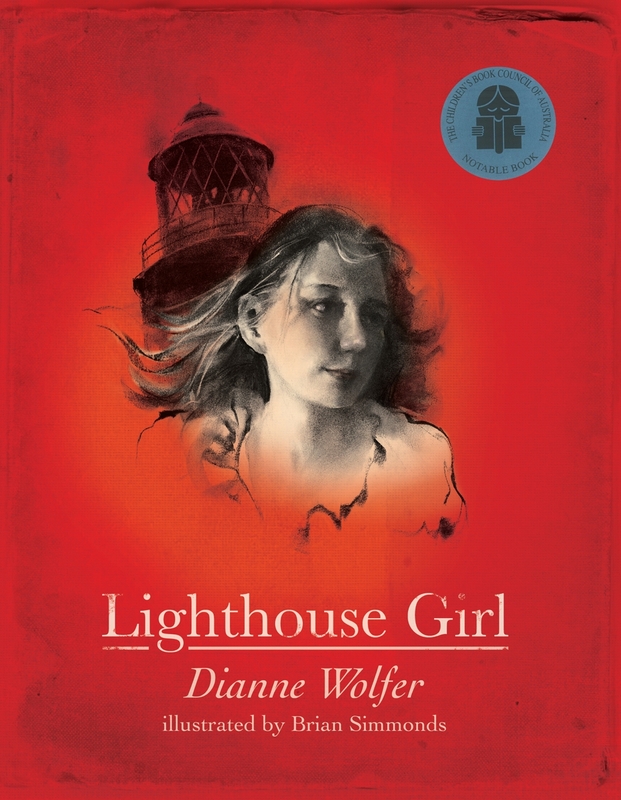 Over the weekend we read a fascinating book entitled, “Lighthouse Girl” by Dianne Wolfer. It’s a great read about the daughter of the lighthouse keeper on Breaksea Island in King George Sound at the time that the incredible convoy of ships was leaving Australian shores. It describes a lonely and harsh life that was momentarily brought purpose through the daughter’s communication via semaphore with the departing sailors.